In continuation of yesterday’s post about healthier alternatives to some of our favorite foods, I thought I would share this great recipe that I tried today. 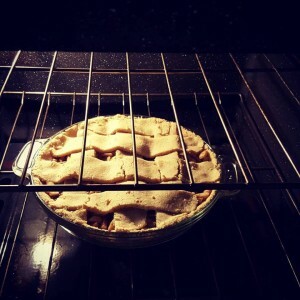 This is a Paleo Apple Pie Recipe! First time trying it, but looks like it came out pretty good! 🙂 Enjoy! Fall is here! And you know what that means…. Pumpkin Everything! Hope you enjoyed the recipe! !